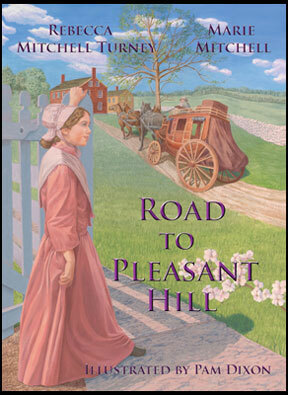 Share ten-year old Betsy's trials and tribulations as she adjusts to Shaker life in the 1830's in Road to Pleasant Hill. 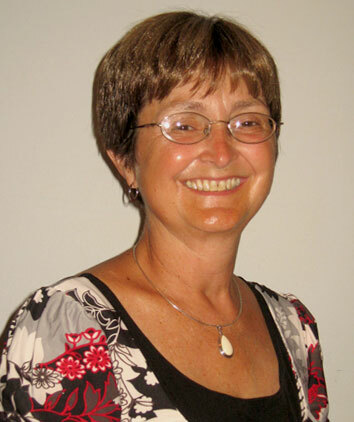 As the news director of public radio station WEKU-FM at Eastern Kentucky University, I was responsible for every locally produced story that was aired. I strove to humanize those news stories by discovering and describing how people were affected by policies, actions and decisions. I also delved into the causes, costs and consequences beyond the events. Now, in many ways I take the same approach to writing fiction. solve mysteries of threatening letters, haunted bridges and hidden staircases. searched for clues alongside Nancy Drew, girl detective. Books were my escape from small town life. My window to the world. My travel ticket — even though I traveled in an armchair. The closest library was 12 miles away, a major road trip back then, and I had to wait until my parents did their weekly grocery shopping to load up on a week’s worth of library books. I would read and reread each one until I could exchange it for something fresh. I never lost my love of reading and adventure. In fact, I chose a career — journalism — that let me pursue both. As news director for public radio station WEKU in Richmond, Kentucky, I got to meet celebrities like former President Jimmy Carter, astronaut Story Musgrave and Mike Thaler who wrote the Black Lagoon series. I also wrote stories about my own travels to exciting places like Japan, France and the former Soviet Union. As thrilling as that career was, after 26 years of facing daily deadlines to produce news stories, it was time to try something completely different. I retired from journalism and began teaching public speaking at Eastern Kentucky University. I stayed busy with other activities like writing a newspaper column for The Richmond Register and performing with the Madison County Dulcimers who showcase Kentucky’s state instrument. And, since my husband, Mason Smith, and I have four active children, I also spend a lot of time transporting someone, somewhere, for something. One winter weekend Rebecca was visiting me and we started talking about books we’d like to write. Neither of us had the time, energy and "stick-to-it-iveness" to tackle such a project alone, but we decided, together, we could do it. So, we decided to write Kentucky girls into history in much the same way Felicity, Samantha and Kit are written about in the American Girl books. I love writing with Rebecca. She reminds me of Betsy, the main character in our Shaker books. Like Betsy, Rebecca is a strong, resourceful person who recognized her own talents early on. She’s an amazing writer who can make words dance on a page. When I read her passages, I often have to stop to savor their beauty and appreciate her crafting of just the right word to create an image or mood. Rebecca is much more methodical in her writing while I’m more impulsive. There are times when we drive each other crazy but somehow out of that chaos a story emerges that is worth telling. 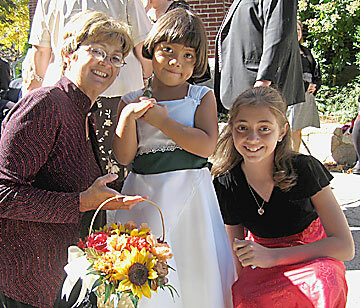 Marie with her daughters at their cousin's wedding. 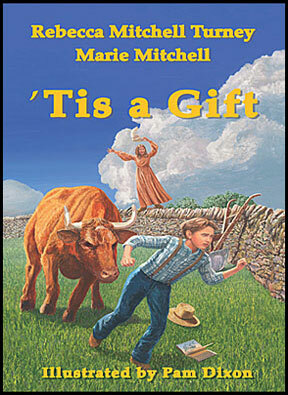 I also write non-historic, contemporary fiction for young readers with my husband Mason Smith. - He's a college professor who teaches English at Eastern Kentucky University. - They are also set in Kentucky, but they aren't part of a series and don't follow a similar pattern. They do, however, feature pre-teen or teen-aged protagonists and involve unraveling a mystery or solving a problem. They are published and distributed through The Clark Group of Lexington, Kentucky. In our first book, The Lost Dispatch, 12-year-old Victoria Johnson's sixth grade class joins a re-enactment of the Battle of Perryville, the biggest Civil War battle fought in Kentucky. Beyond the history and the battle scenes, readers confront the mystery of a stolen family journal. Our second book, 48 Hours, is based on a real film competition that happens each year all across the United States. In it, a group of teens race against time to write, shoot, edit, and produce a short detective movie in one weekend -- just 48 hours. But, in our story, unlike the real competition, nothing follows the script and the team faces setbacks ranging from thunderstorms to the theft of a valuable prop. UFO: Unidentified Flying Object, our third book, is about two teenage cousins who try to prove that specimens of the long-extinct Cape May Woodpecker are still alive and flying around in their county. In doing so, they have to contend with a shady businessman, bizarre birdwatchers, a wacky weatherman, a scary Bog Monster, and maybe even some aliens from another kind of UFO. Squatch Watch and Other Stories is a collection of short fiction for readers in grades 5-9. The stories center on a number of interesting situations including an encounter with a Bigfoot, a Civil War re-enactment, and a search for a long-lost relative from Japan. Notable characters include a pet rabbit that becomes a detective and a grandmother dealing with Alzheimer's Disease.